Posted 6/8/2018 6:07am by Patti Rosenberg. Hello there! How did your week go? 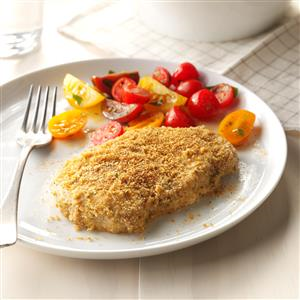 Did you try any of the recipes from last week? How did they turn out? This week's box is a real treat thanks to all the hard work of the farmers at Waverly! Here's what you will receive and some ideas of how to use it! Chard - Various greens work well when incorporated into a pasta dish, I like this one and there is a lot of flexibility with it, for example this time of year you may be able to find some decent tomatoes and dice those into it rather than the tomato sauce. Also I use traditional pasta rather than brown rice pasta. I love to put white beans into a pasta dish for protein. 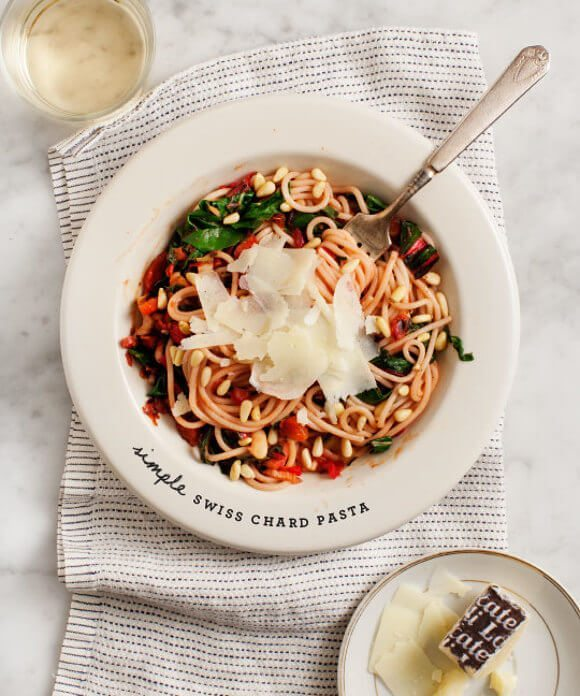 https://www.loveandlemons.com/simple-swiss-chard-pasta/ Look how yummy this is! 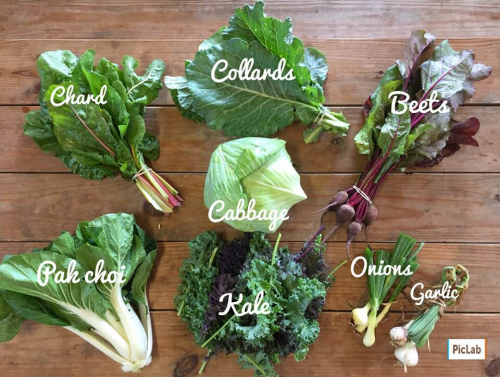 Collards - Lots of different types of greens can be used in smoothies too, not just spinach or kale! 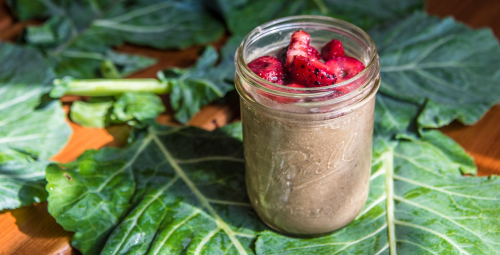 You could combine these collards with frozen bananas (I always have a few in the freezer for banana bread, when they get too brown to be eaten on their own), a handful of fresh or frozen blueberries, and Greek yogurt if you have it on hand, as well as some flaxseed. Drizzle in a bit of honey if you need some extra sweetness. I am a big fan of smoothies for breakfast in the summertime. Beets - it is early in the beet season so these are smaller than some we will receive later in the season, but the tops are also very useful. You could chop the tops and make a salad and then roast the beets and top the salad with them and add feta cheese. Top with your favorite vinaigrette for a scrumptious lunch! https://www.epicurious.com/recipes/food/views/roasted-beet-salad-with-beet-greens-and-feta-3188 Here's a recipe if needed, I would skip the capers but that's just my personal taste! Patti would add extra capers! Cabbage - I love to make a sautee with onions (white onions or the green onions in this box would work perfectly well too), cabbage and apple. It is SO delicious and is super tasty leftover cold or warmed up. I saute the onion with olive oil, then add the cabbage chopped up, then add diced apple and some apple cider vinegar. Then add salt and pepper to taste. 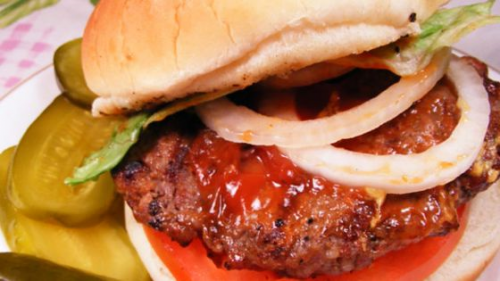 The flavors are fantastic and it is so simple. Pak Choi - These would be delicious grilled and served alongside the beef/sausage hamburger mentioned above or with any protein. 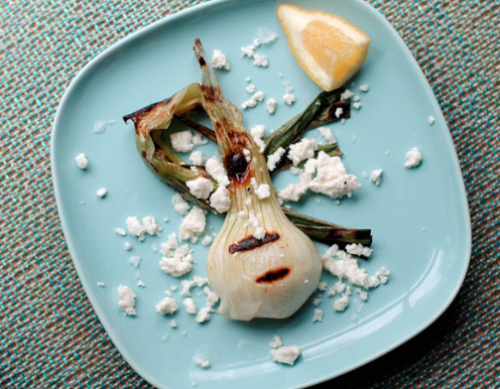 Do you grill your vegetables much? 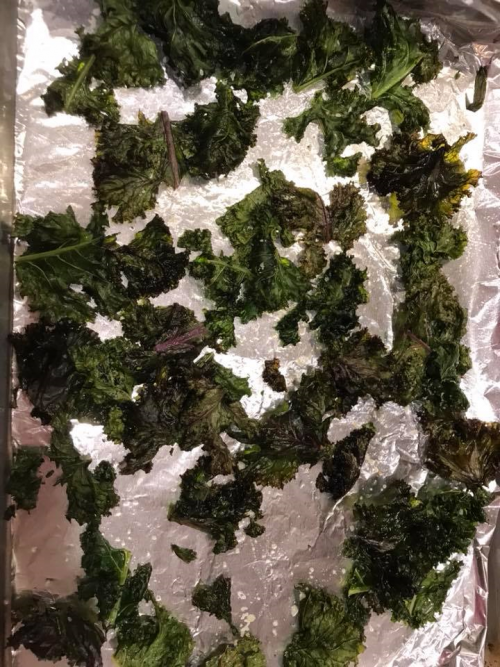 Kale - Did you try the kale chips a couple of weeks ago? I have been making them a lot, so crunchy and salty and just good!! Perfect as a substitute for chips with your sandwich. Garlic - Garlic could be used in the pasta dish, and is in the dressing for the beet greens and roasted beet salad. I use onions and garlic almost daily, how about you? Please let me know if there is any way I can make this email more helpful or useful to you!